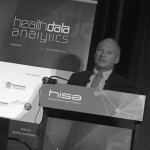 Data science = Data analysis "plus"
Hospital Analytics – are we getting there? In the research literature we find thousands of papers documenting academic projects documenting analytical models for the hospital environment. But the big question we need to investigate is – how much of it is actually used operationally to make a real change to treatments and patient outcomes?